Ryan Proven | Quality Production, Inc.
Born and raised on a small dairy farm in Redwood, NY, Ryan discovered his passion for content creation while attending a Graphic Communications course at Northwest Tech BOCES in Ogdensburg, NY. 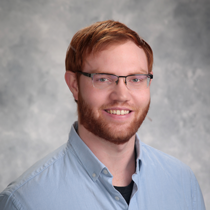 Ryan graduated from SUNY Plattsburgh in 2017 with a major in TV/Video Production and Digital Media Production, as well as a minor in Graphic Design. As a hobby, he travels Northern NY capturing aerial photographs of local lakes and waterways with his drone, putting his Remote Pilot license to good use. Ryan moonlights as a Wedding Videographer, utilizing his production skillset to create a special work of art for newlyweds. During his time off, you can find him competing as an online gamer in Rocket League or Halo.